Sandor Pal was a philosopher and a political leader in the partizan movement. He practiced as a university teacher before WW2 and in 1919 joined the Communist Hungarian Party (Kun Bela). He escaped "abroad" (probably Russia) and returned in 1927 to work as a publisher and editor of the periodical "Society Outlook". During the war he joined with the 'Hamza' partizan group, which was comprised mostly of film and media artists (!!) 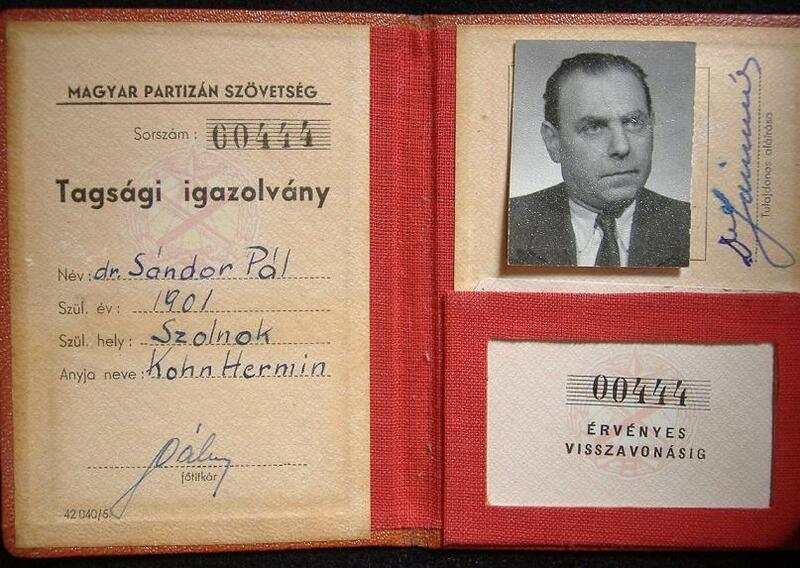 He worked with the civilian sector of enlisintg partizans alongside Somogyi Miklos who recruited actual soldeirs. Pal worked througout the nation in work sabotage, communications, and producing forged documents. In all Pal worked in context with 13 different partizan groups. Pal's greatest acomplishment was managing to steal an address list of Hungarian and German State Security agents GESTAPO and Aroow Cross) operating in Hungary which was then distributed to the various partizan groups. For all his work as a good communist he was arrested, tortured and interogated as a 'Titoist' spy and spent the years 1950-1954 in prison. After his release from prison he became the director od the National Translation Office. In 1956 he was accepted back into the party and from 1957 he worked as the head of the philosopy department at two national univerisites SOTG and ELTE. sadly, none of the names in the two otehr award books Gordon and I have appear in the lexicon. If anoyone has a document, post the name and if the name is in the book, I can translate it. Additionaly - I have been trying unsucessfuly at getting more interviews with the current Partizan Association...but perhaps a door will open soon! Great information from that book. Too bad the men from our other books aren't in it. From now on we will need to pick up every book we see under 1500. That is if we see anymore! By the way, was/is there a "Whos Who" of Socialist Hungary? Why are their WIVES' names on the bottom of the award book entries? That is their mother's name not their wives. Yes - there are, but from what I have seen, they are regualted to certain 'fields' like economics, film, etc... this book is the 'whos who' of the partizan. The book was compiled from the research of about 50 writers and was published by the Hungarian Military Museum. That may be a place to go back and look? Good idea. We haven't been to the National Museum for close to a year. I think we (you primarily) might have some better questions to ask this time around. Pics and badge set courtesy of Charles (Hunyadi). Thanks again my friend!!!! I couldn't do it without you! Here is my modest contribution to this topic. I am sending images of two more Partisan Badges. These are especially interesting ones, since they belonged to one family, a husband and wife. Dr. Janos Beck was a participant of the illegal communist movement from the mid '30s and as such, he participated in the Spanish Civil War from 1936. 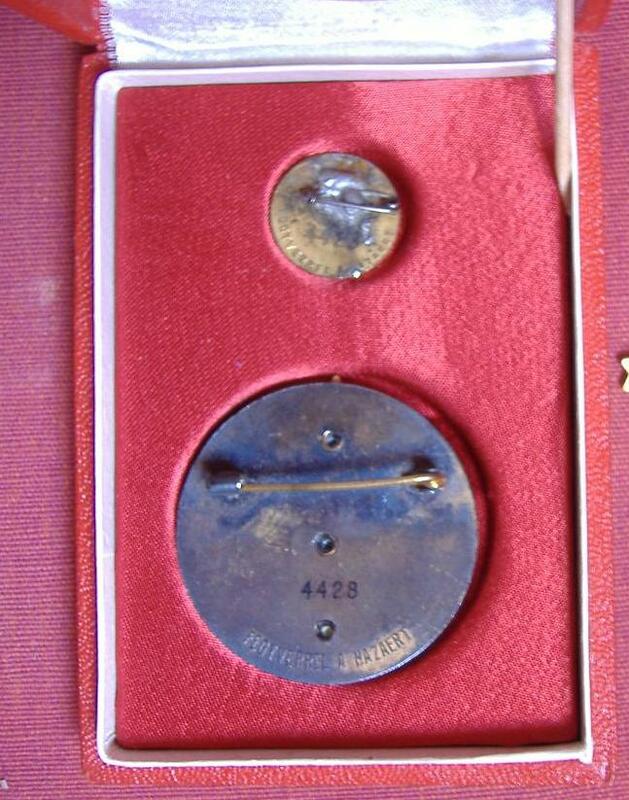 He was awarded the very scarce (RR) Spanish War Commemorative Medal on 22nd October 1956(!). 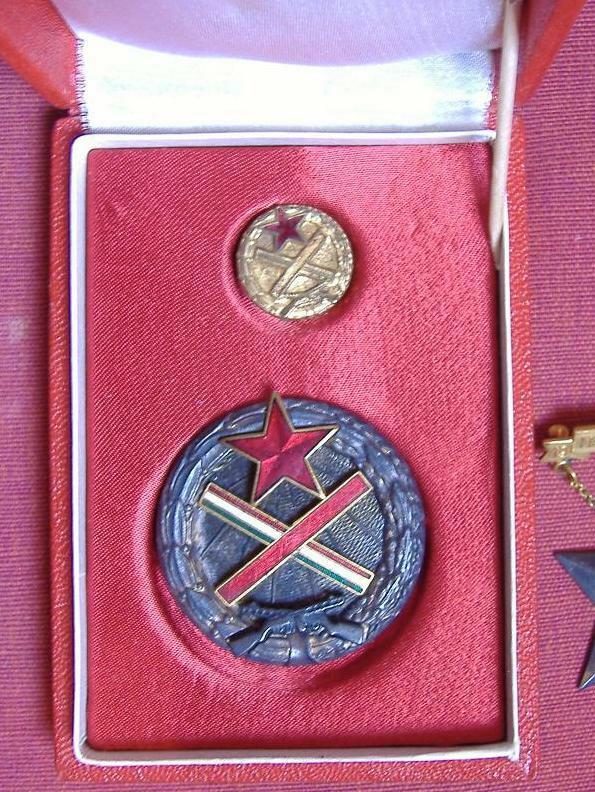 More over, earlier, in 1946, he received the even scarcer (RRR) Order of Hungarian Freedom, the highest, the silver grade, which was an order for partisans and the first order established after the war. Later he became an engineer in chemistry but from late '40s he worked for the Ministry for Foreign Affairs of Hungary. His badge has the very law number of "84". 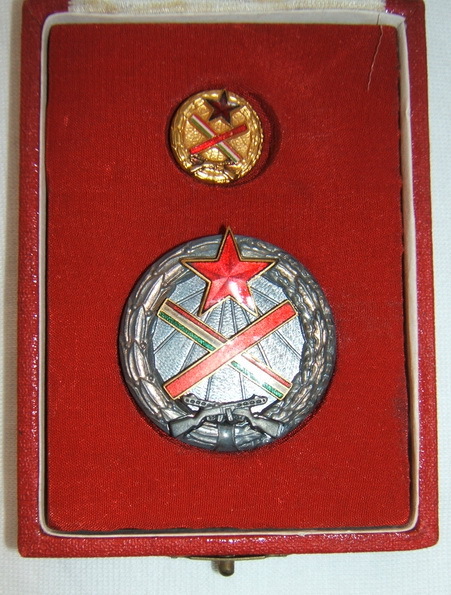 His wife, also an illegal communist from late '30s, was awarded the Partisan Badge no. "1249". Do you have any docs that went with them at all? Can you tell us more about the Becks' lives? I would like to know more. It is very interesting. ...Can you tell us more about the Becks' lives? I know nothing about his wife's activities. Dr. Beck himself was born in 1915. During the Spanish civil war he was captured and deported to France. He escaped and returned to Hungary where he continued his illegal communist activities. In 1942 he was arrested and sentenced for two years in prison. After 1945 he was posted to the Ministry of Foreign Affairs by the Communist Party. He was arrested again in 1949 because of his good relationship with L?szl? Rajk. He was sentenced for 8 years in prison by his own comrades, but was released in 1955. His real diplomatic carrier started in 1961. He was the ambassador of Hungary in several countries, among others in Cuba too. In 1979 he retired from the MFA. He died in 2001. That is all what I know about him. Welcome to the forum. 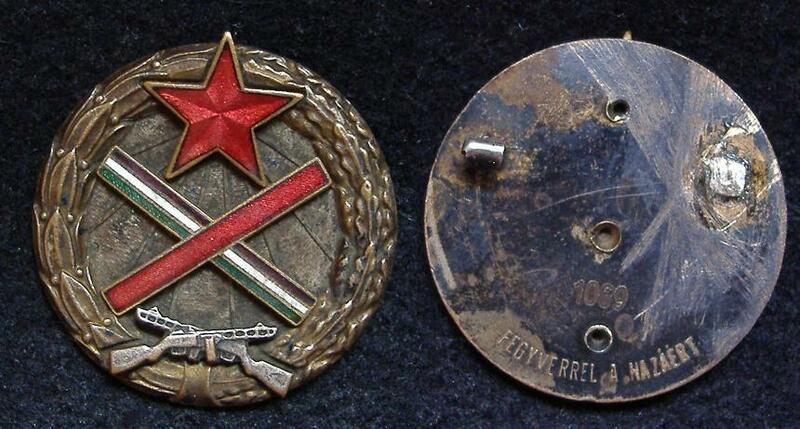 Very nice early numbered Partisan Badges. When you say he was awarded the Spanish War Commemorative medal you are refering to the "Munk?s-Paraszt H?talom?rt Eml?k?rem" and when you mention the Order of Hungarian Freedom you are refering to "A Magyar Szabas?g ?rdemrend ez?st fokozata, 1946"? I just want to make sure all of the people who read this thread will be sure what medals you are talking about. "A Magyar Szabas?g ?rdemrend ez?st fokozata, 1946" was numbered on the back. Do you know what the number of his award was? As a friend of Rajk he was lucky not to have suffered the same death sentence. I would be interested in meeting with you some time soon. Always interested in meeting Hungarian collectors and sharing my uniform and medal collection with them. I live in the Rozsadom area of Buda. Give me a call sometime on 06-20-480-4158. I want to edit this post as my mobile number came us being in the U.K. which it is not. It is in Budapest. Thank you for your kind words. No, of course, I did not mean the "Munk?s-Paraszt Hatalom?rt Eml?k?rem". 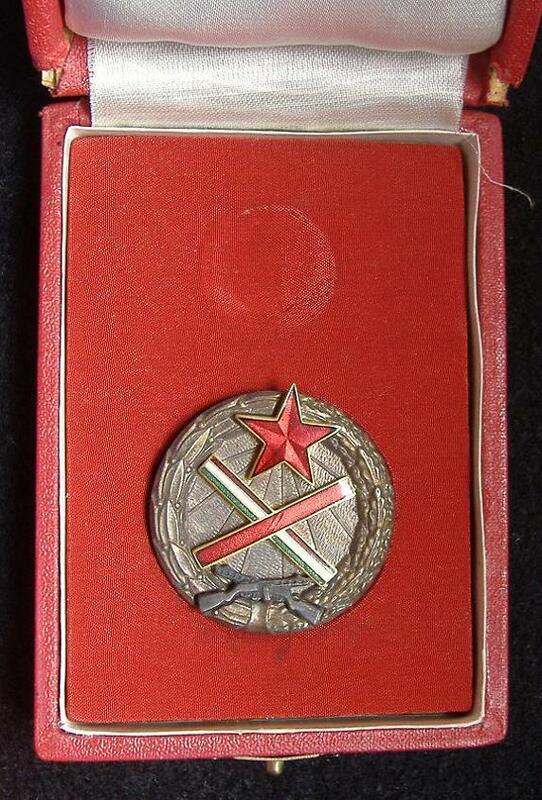 That was for active participation in suppressing the revolution in Hungary in '56 and awarded from April 1957. I meant the "Zalka M?t? Eml?k?rem" which was instituted in '56 and first time awarded on 22nd October 1956, just one day before the revolution. That was for the participation in the Spanish civil war. Yes, the other one I mentioned was the "A Magyar Szabads?g ?rdemrend" of '46 and its number was "55". But, of course, you know, that in this case the number does not matter. There was no any hierarchy in numbers. Those orders were awarded in random, regardless of their numbers and a certain percent of them simply had no numbers at all. Thanks for your kind offer. I am very happy to meet other collectors too. Sorry for my mistake on the Zalka Mata. Must have been asleep when I typed that one! 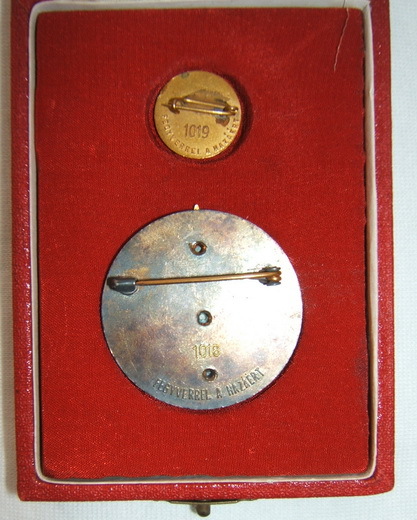 As for the number on the "A Magyar Szabads?g ?rdemrend" I realize that the medals were awarded randomly and I was simply courious if you knew what the number on the medal was that he was awarded. Since there doesn't appear to be a list of who received these awards it helps to be able to put a name to at least one number. 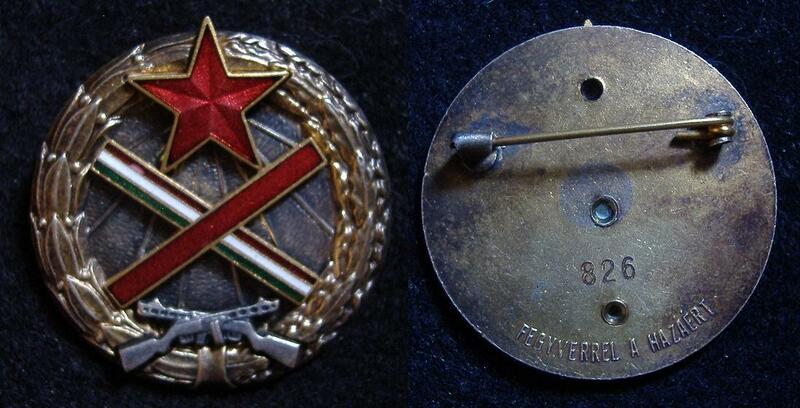 The other day I saw one Partisan Badge on a Hungarian auction site. There was no information added. As far as I can remember, the reserve price was about 6.000,- HUF, (around 30,- USD) but I no nothing about the hammer price, I did not follow that auction. 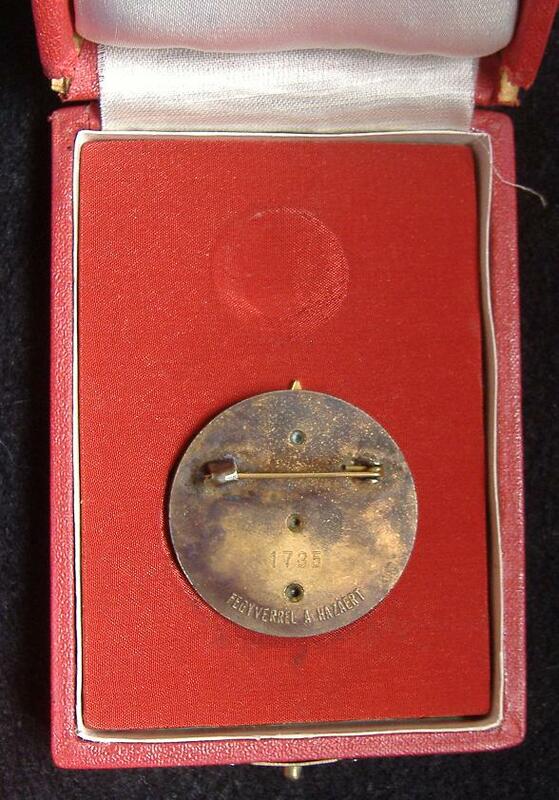 Another monthly Militaria Show and another cased Partsan badge set to add to the data base. #1019.